Too often we are sold “moments” as effective change. I remember when I first “came out” to the world. It was in an article I wrote many years ago entitled “Everyone already knew I was gay” where I tell this story of how I attempted to come out to several people on an individual level, yet everyone already knew that I was gay. It was a very different story from the many horror stories I had heard in the past from friends and associates whose coming out led to homelessness, violence, and rejection from family and friends. Yet and still, when looking back on my coming out, I often wonder what would it would look like had I been afforded the knowledge and space to just be who I was. What if having a moment to “come out” was completely unnecessary? I want to be clear when I say that National Coming Out Day is not a bad thing, and for the time being, it is necessary for so many who no longer wanting to hide their identity. The day created the space for me and others to live in our truth and feel loved and supported by so many others dealing with the same issue. It was a powerful statement for a people that have long felt silenced—a push against the homophobia we face on a daily basis. Unfortunately the day has become just that. A day. It remains a moment in time of where we get to rejoice for people who are brave enough to now live in their truth, without much work being done to fix the reasons as to why they had to hide it in the first place. In the midst of all of the nice slogans like “It Gets Better” and “Love is Love” there can often times be a disregard for the safety of these people who will unfortunately as people living “out” become potential targets to hate, stigma, and violence like many of us have faced for years. 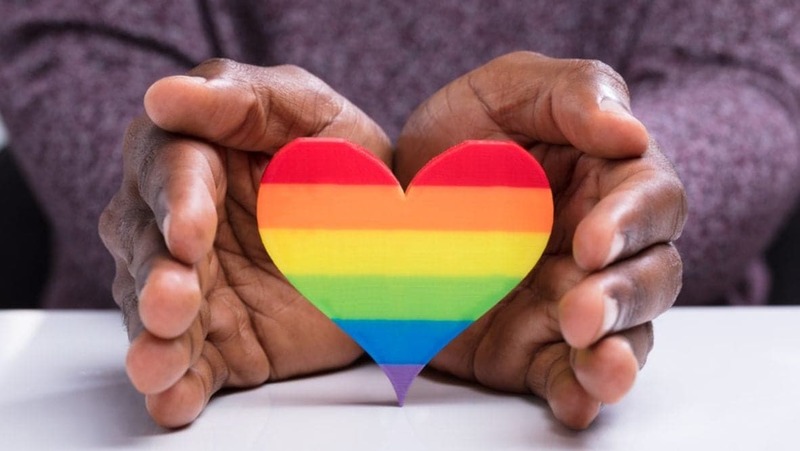 As the culture of LGBTQ people continues to gain more visibility and representation, it is important that trends in society begin to shift with the new narrative. This narrative which is beginning to showcase us on a macro level, hasn’t quite changed the story for many of us living in the micro that is our homes and our community. As visibility of queer characters continue to rise, so do the deaths of many trans people and queer people. Far too often, we have been conditioned to believe that symbolism is the savior. That the more folks see us, the more “normalized” we will be within the community at large. This myth has unfortunately been disproved time and time again—look no further than eight years of a Black president to be followed by what we are living in now. The notion of “coming out” on this day was done with the best intentions. I believe that in all sincerity. The creation of a day for people to feel “safe” to tell their story and be supported by Queer community and allies is pretty amazing on the surface. There are thousands of posts and stories that go up about the weight and the burden lifted from people. We get to publicly see the support of friends and family and others in a joyous way. However, what happens to these people on the next day, or next week? What happens to us when the day ends, and society is still not a place welcoming to us? There is honestly a conversation that needs to be had about the problems with queer people having to come out in the first place. There is no magical age that heterosexual people have to announce to the world that they are straight. Unless stated otherwise, their identity is already assumed and embraced as the norm. They are allowed from birth to grow into the people they innately are. They are given the tools from society to be educated about their bodies, given more rights and privileges, and acceptance across the board. Queer people are often forced to suppress our identity. Live as shells of the people we know ourselves to be—often stunting our maturation and acclamation into society until we are much older. We need to be fighting for a society that lets kids be kids. A society that doesn’t shame or punish people who don’t fit the archaic standards of patriarchy, masculinity and femininity. No one day would fix that. Too often we are sold “moments” as effective change. It’s a cop out, and unfair to a community struggling under the burdens of heteronormativity. National Coming Out Day needs to be viewed as society’s starting point of the work, not the ending point that makes it all better. What happens to all those people the day after they come out? Some folks’ lives do get better. Some of them get much worse. It is extremely important that we not live in the symbolism of the day, and do the work to make the day a thing no more. Being queer at some point needs to become as regular as being straight. No announcements necessary.